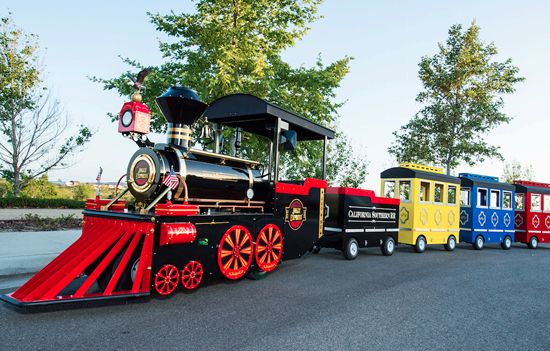 is an 1880's style steam-engine train (electric powered) with 4 beautifully designed cars (1 Coal Tender, 2 Passenger Cars, and 1 Caboose). 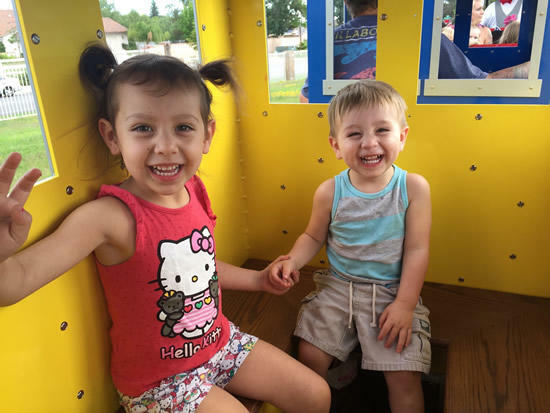 The train is designed for both adults and children and can seat up to 24 people total. 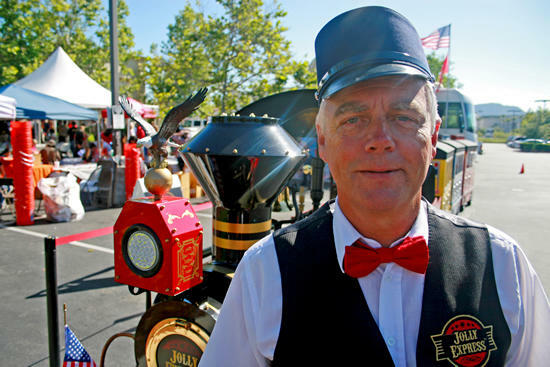 Our Jolly Express experience includes the Train Engineer. A conductor can be added at an extra cost to load and unload passengers. What type of surface can the train go on? Cement, Asphalt, or short astroturf. 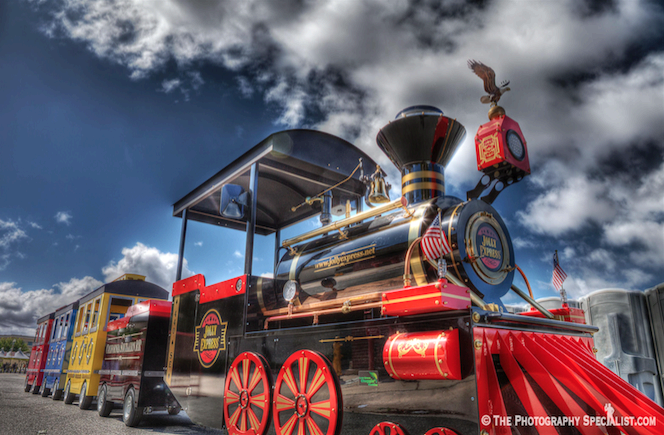 We do offer a gas train that can run on grass and dirt. How much space do you need for the train to turn around? We need 25 ft for the Locomotive and cars to turn around. How fast does the train go? The Train travels at approximately 5-6 mph. There are 4 cars: 1 Coal Tender, 2 Passenger Cars, and 1 Caboose. How much weight can each car hold? How many children per car? Each car can hold approx 6-7 children. Can I rent the train and drive the Train? No, sorry, only our Engineers are allowed to drive the train. He will arrive in an Engineer Costume. Can you handle large crowds? Yes, we can add crowd control barriers,stanchions.and a conductor to load and unload the cars at an additional cost. Please call for pricing.